This relaxed fit cotton cord tunic in plum is ethically made by fair trade producers, and features a scoop neck with ladder lace detail around the neckline along with three quarter length sleeves and pockets. 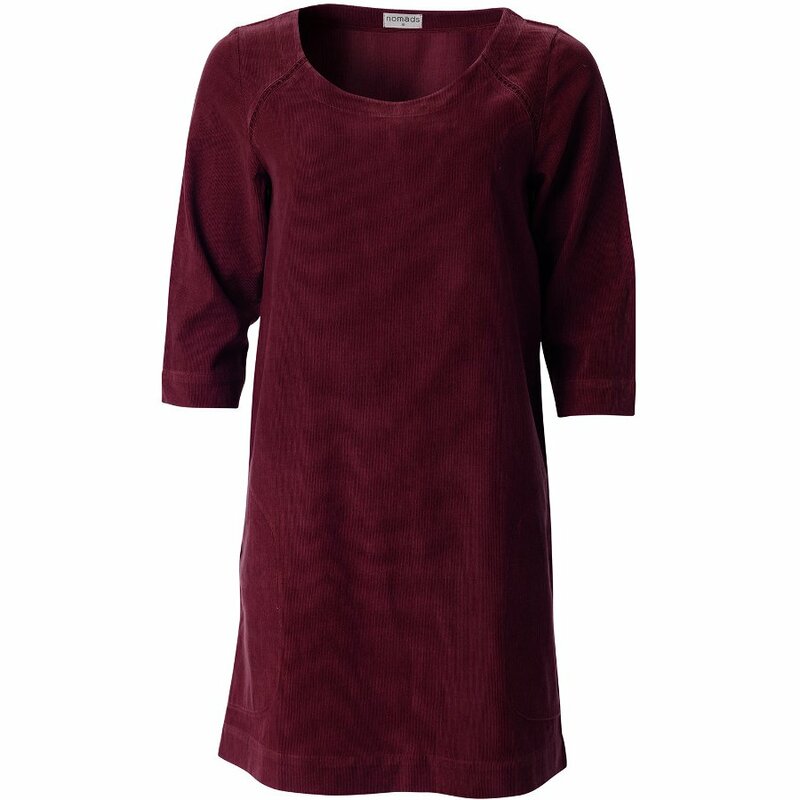 The dress is suitable for vegans and produced with azo-free dyes. 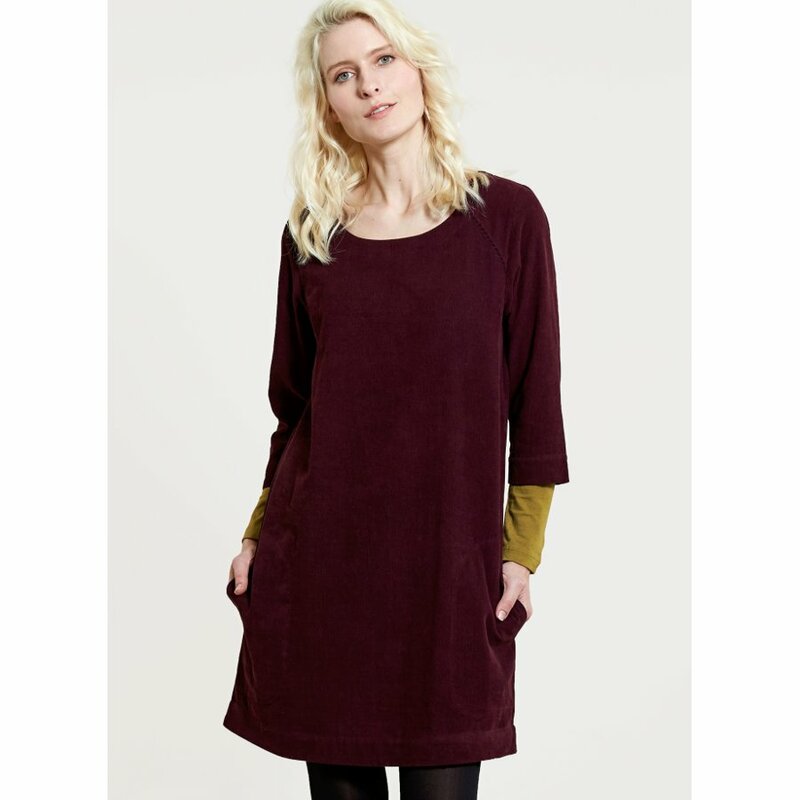 The Nomads Three Quarter Sleeve Tunic Dress - Plum product ethics are indicated below. To learn more about these product ethics and to see related products, follow the links below. 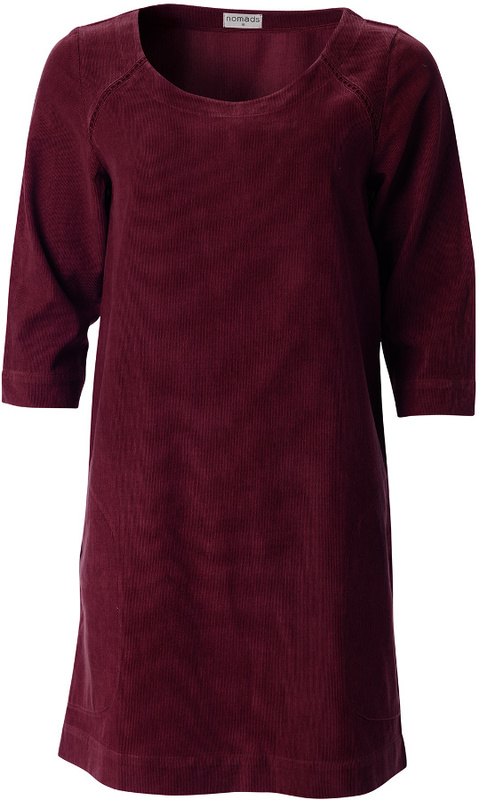 There are currently no questions to display about Nomads Three Quarter Sleeve Tunic Dress - Plum. Nomads is an ethical fashion brand formed by Duncan and Vicky, who met while backpacking around India in the late 1980's. Inspired by their love of India and its culture they decided to start up an ethnic fashion label. By successfully combining Indian craft with UK design Nomads is emerging as a brand that is increasingly well known throughout the UK. Nomads follow the guidelines and ideals of Fair Trade throughout all of its business relations with suppliers in India, and with its customers back home. It forms long term trading relationships and buys direct from the producers themselves, ensuring that profit goes directly to the primary source and is not gained by middle men or contractors.